An elegant blend of sea salt and organic rosemary. The simplicity of this salt is its strength. 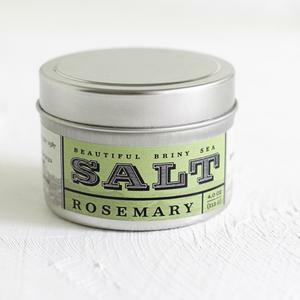 The combination of Pure Ocean Salt and Rosemary make this flavor an essential element in every kitchen. Lovely on spring vegetables Perfect on morning eggs Pairs well with all meats and fish, especially lamb Learn more about the masterminds behind these flavors at Beautiful Briny Sea.